Upper crossed syndrome may involve neck pain with or without radicular pain into the upper limbs. Some patients may even complain of numbness or tingling sensation in the upper limb. Muscle imbalances as a result of prolonged static posture are one of the main cause that leads to pain and paresthesia. Patients commonly present with anterior head carriage and rounded shoulders. This can result in muscle tightness in the pectoralis muscles, the anterior chest muscles, and the suboccipital muscles near the base of the skull. Muscle weakness of the deep neck flexors and rhomboids or mid and lower trapezius is commonly found in a person with upper crossed syndrome. Treatment for upper crossed syndrome should include a multi-modal approach to addressing each and every component of the problem. This involves chiropractic treatment and physiotherapies such as therapeutic rehabilitation exercises, manual therapy, ergonomic advice and postural retraining. Joint mobilization or manipulation can improve segmental spinal mobility and reduce neck stiffness. Removing trigger points and release of tight muscles in the neck and upper back such as suboccipital muscles with myofascial release techniques help to improve neck and shoulder mobility. Stretching of the anterior chest muscles is important to prevent rounded shoulders. Learn more about our physiotherapy center in Malaysia. 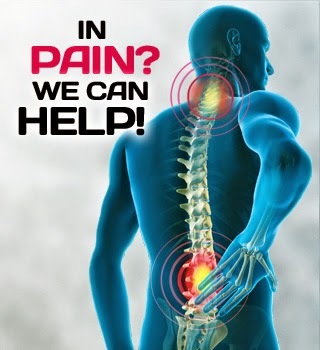 Find out today why our Chiropractic treatments in Malaysia are better than what others offer you: We treat pain with Advanced Technology. Postural training plays a significant role in improving the signs and symptoms of upper crossed syndrome. The treatment program should include re-education and correction of the cervical, thoracic and scapular position. However, many health care providers often ignored the importance of postural training of the lumbar spine and pelvis, as this can affect the position of the thoracic spine and head as well. Taping may serve as an excellent tool in postural retraining.